Steven Mansaray, manager of Radio Bintumani 93.7 FM in Koinadugu, speaks about the role of radio in Ebola and the impact of FWA's assistance. Radio Moa 105.5 FM in Kailahun, Sierra Leone, got back on the air during the Ebola crisis, with the help of an FWA emergency equipment shipment. 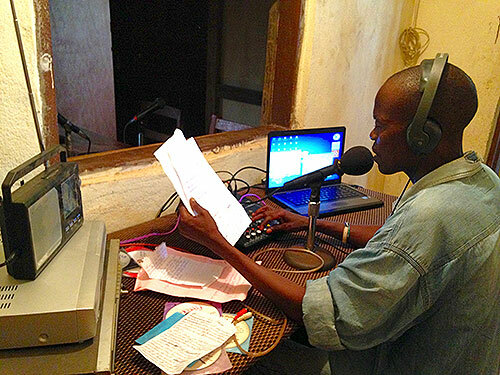 During the Ebola crisis, FWA received an urgent request from Sierra Leone’s Independent Radio Network to assist six stations with faulty or failing equipment that put information flow at risk. • Studio microphones and mixers to improve broadcast quality.